This summer, in addition to their wins at slots and table games, Jackpot Capital Casino players are winning weekly casino bonuses up to $800 during the $280,000 Picnic Hunter casino bonus event. Discover picnic baskets filled with goodies as you visit America’s favorite National Parks. Explore the Rocky Mountains, Yosemite, the Grand Canyon and Yellowstone and compete with other players for top weekly casino bonuses. You'll earn frequent player points when you play any of the hundreds of games from Realtime Gaming that the popular casino offers. You'll be listed on a scoreboard according to your points ranking. If you make it to the top 300 you'll get a share of $30,000 awarded every Monday. Frequent players win up to $800 weekly; anyone can win random draws on Fridays. Frequent players win top leaderboard bonuses, but every Friday there are random bonus draws for another $5000 that anyone can win. 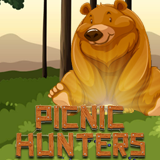 The Picnic Hunters casino bonus event continues until October 1, 2017. Contest details and current points scoreboard rankings are available at https://promotions.jackpotcapital.eu/picnichunters.